I read some interesting statistics this week. The average American woman is 5’4” tall, weighs 140 pounds and wears a size 14 dress. One-third of all American women wear a size 16 dress or larger. Compare those stats with the fact that the average American model is 5’11” tall and weighs 117 pounds. In actuality most fashion models are thinner than 98% of American women. No wonder most of us have been on a diet since we can remember. How can reality compare with that? 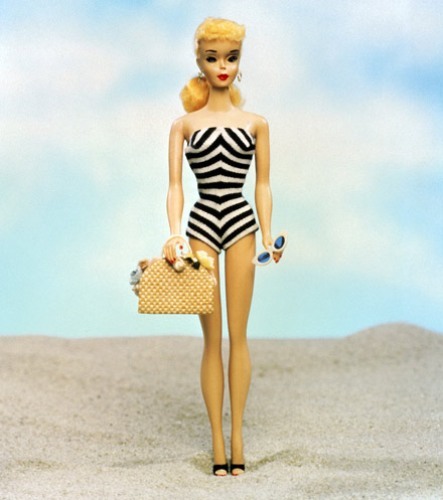 Barbie—the doll—turned 50 this year. Granted, she still looks great. But based on research (done by Rader Programs) if Barbie were a real person, she would be 6′ 0″, weigh 100 lbs., and wear a size 4. Her measurements would be 39-19-33. That’s just crazy! According to Time Magazine, there is an 80% chance that a young girl has been on at least one diet by the time she is in fourth grade. Fourth grade. Think about that. She is 10 years old. She is still playing with dolls. Her body hasn’t even hit puberty yet. She is learning independence and is developing her own opinions on life and on herself. She is molding her views of her body image and her self worth. By the time she is in college, her chance of having an eating disorder is 19%. She has put away her Barbie doll, but that image of the perfect body is still with her. No matter how thin she may be, the reminder is still there. That’s why I think it is so critical to educate our children (and ourselves) that being skinny is not what it’s all about. There really, truly is a better way to view our body image as it correlates to our health. A healthy weight is a range that relates statistically to good health. Being overweight or obese is statistically related to weight-related health problems (heart disease and high blood pressure). Body Mass Index (BMI): A measure that correlates to how much fat is on your body. Waist size: A measure that helps to indicate whether the location of your body fat is a health hazard. Risk factors for developing weight-related health problems: Such as, your cholesterol level , blood pressure, and family history. What you should weigh for optimal health may be quite different from what someone else should weigh—even if that someone is your same height, gender, and age. So keep that in mind too when assessing where you are in regard to your weight and health goals. So while I’m not here to take a political stand against good ole’ Barbie, I am here to encourage you to take your own weight and health seriously, but to do so based on what’s right for you. Not on the images and ideals we view as consumers.